Tiled conservatory roof or glass: which is the best conservatory roof replacement option? Comments Off on Tiled conservatory roof or glass: which is the best conservatory roof replacement option? There’s no question that a conservatory can add some much-needed space to a property, or provide a pleasant indoor space that connects you to the outdoors but, if your conservatory is over 15 years old, the roof is more than likely in need of maintenance or complete replacement. 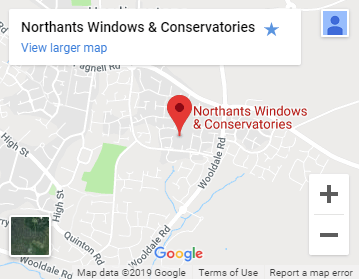 The upside of this being the case is that the materials available for use on conservatory roofs have developed significantly and you now have several options boasting various benefits when it comes to the conversion of your conservatory roof. Whilst a glass roofed conservatory allows for a bright and airy sun room, tiled conservatory roofs are becoming an increasingly popular way of transforming what was once traditionally a summertime room, into a space that can be used all year round. If you haven’t installed a conservatory yet and simply want to extend your property it is also worth considering a simple extension with a sloping or flat roof installation. However, for conservatory lovers, here we consider the pros and cons of both glass and tiled roofs to help you decide on the best option for your conservatory roof replacement. Most older conservatories are made with either glass or polycarbonate, both of which provide the much sought after benefit of a large amount of natural light. 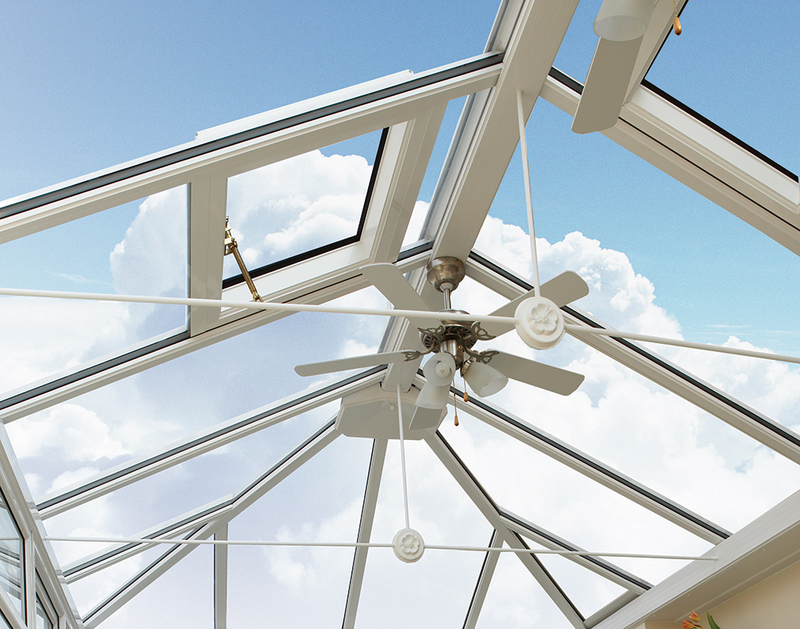 Bringing the outdoors in without having to put a gamble on the great British weather is certainly one of the major reasons why clear-roofed conservatories are so common these days. But for all the appeal that natural light has, glass conservatory roofs are not without their disadvantages. A glass roofed conservatory can be incredibly hot during the summer months and unbearably cold throughout the winter meaning the opportunities to enjoy this additional space are limited, with many conservatories ending up as storage rooms. And whilst many of us enjoy the idea of letting natural light, many owners of glass roofed conservatories have complained of fading furniture and fabrics – since the sun naturally bleaches material – and have ended up installing costly blinds to rectify the problem. Although many of the disadvantages presented by glass or polycarbonate conservatory roofs can be rectified, this comes at a cost. But this investment is very much worth considering if you wish to maintain the enjoyment of natural daylight and a clear view of the sky above. A conservatory roof conversion may seem like a major undertaking, but there are some very cost effective and surprisingly simple alternatives to having a glass or polycarbonate roof. If you’re thinking about a complete conservatory roof replacement then tiles, or solid conservatory roof panels, may be an option that provides you with the transformation you are after, since many tiles and panels designed to slot together easily making the disruption of installation minimal. For instance, the new and innovative Ultraroof-380 tiled roofing materials are made of lightweight, highly-insulated tiles slot together quickly and seamlessly for effortless installation. Converting to a solid conservatory roof can not only create a more permanent and ‘extension-like’ feel to the room but can also provide additional strength and support to the structure, meaning you get the benefits of an extension without the hefty investment. Why start from scratch when you can work with what you’ve got? Without a doubt one of the main disadvantages of installing a tiled conservatory roof is the amount of light you lose. However, this type of conservatory roof generally provides much better insulation throughout the winter, whilst keeping the room cooler during the summer thanks to special thermal technology, allowing you year-round use of the space. This might be a good enough trade off for many but if the loss of natural light really is that unappealing then the installation of some glass conservatory roof panels within the solid roof is another option – and nice compromise between the two. Plus, with the same benefits provided by coated glass – this is a low maintenance solution to a gloomy (get it!) problem. Whichever material you decide on using to replace your conservatory roof, both have their advantages and disadvantages; there’s no doubt that a complete conservatory roof replacement is a major decision with not only cost to take into consideration but installation disruption too. The best advice we can give you is to consider your priorities – be it a sun room or something akin to an extension – and discuss it with a professional who can advise you which option will best suit your requirements. Our team are always available to help offer guidance, so if you’re not sure what option might best suit you or your property, give us a ring anytime. 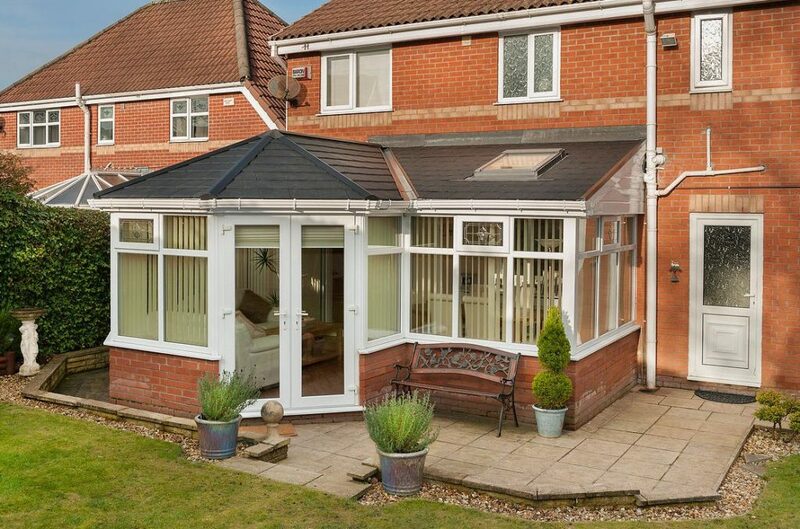 Have you got more questions about the replacement of your conservatory roof? Then why not get in contact with us for more advice. Found this article helpful? Why not share it on Twitter or Facebook! Next Post When you’re cleaning windows… Get that streak-free look!